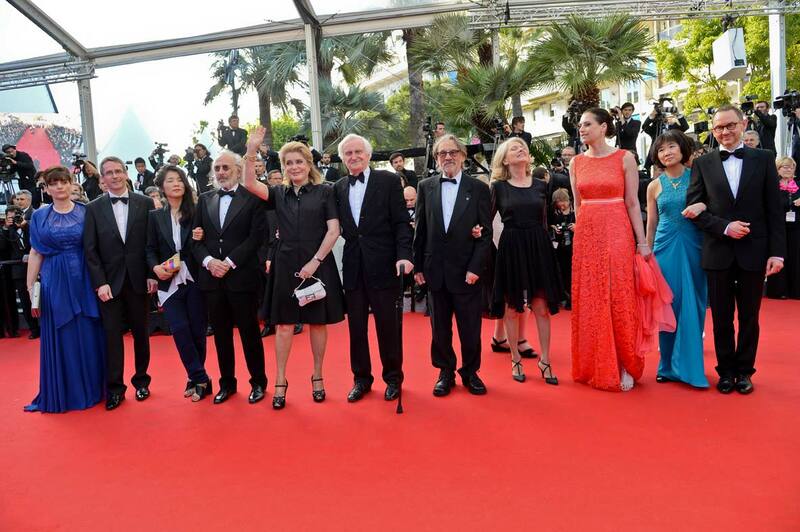 Vilmos Zsigmond, ASC was honored this evening at the Cannes Film Festival with the Pierre Angenieux EXCELLENS in cinematography award. The award, by the way, was a new Angénieux 56-152 anamorphic zoom lens engraved with his name. We spoke last week about cinematography, Cannes, lenses, and life. When we last spoke, you said that on “McCabe and Mrs. Miller,” Robert Altman was looking for a different kind of style. You were not too keen on using zoom lenses, but he “taught” you how to use them during that movie, not necessarily to use the zoom as a zoom, but to be practical about setups. Would you like to comment on that? That’s true. I was not really in love with the zoom until “McCabe And Mrs. Miller” because I don’t like it when the zoom is visible. I like the dolly because it has a more dimensional look. It’s like 3-D in a little way. And the way Robert always used it, was to hide the zoom with the dolly move. That’s when the zoom move would become three-dimensional: it would have perspective changes. If you just zoom in and zoom out, that’s almost like a cheap way to do a dolly shot, and not very interesting. But when you make a diagonal dolly shot and you combine it with the zoom, the zoom is actually not visible anymore. You almost get the feel that the camera is dollying all the time. Was that the first time you had used the zoom? When I was filming in Hungary, we usually could not afford to have a zoom lens. When I came to the United States, at the beginning, I did really low-budget films. Still, I still could not use zoom lenses. And then when we grew up into bigger pictures, not just low-budget pictures, I still didn’t really like it too much. I occasionally used it when we really needed it. But then came “McCabe And Mrs. Miller.” On the very first day, we were using two zoom lenses; we had two cameras. And that’s when I learned from Robert Altman to fall in love with the zoom lens. Because it was so convenient, in the cold, or in the rain, and all that. Imagine that every time you want to change the focal length and angle using regular prime lenses. It would take time, and it’s basically a time thing. Also when you line up a shot and then the director doesn’t like the lens, he’ll say, “Okay, give me a 28 mm.” We put this in the camera, and, “No, no, no. Give me a 40.” And then so on. Then we have spent maybe 10 to 15 minutes changing lenses. With a zoom lens it saves a lot of time lining up a shot. Because you can actually find out what size lens you want to use. And not necessarily using the zooming aspect of the lens, but just the convenience to find the exact shot also find a size when you’re between two focal lengths. It could be a lens that is not available, for example any size between 25 and 30. And from that point on I probably could not even do a movie without the zoom lens. Zoom lenses are very good in quality. When Angenieux came out with the first Optimo zoom lenses, they became the lenses I liked to use in many movies. I love the combination of using a very sharp zoom lens and a little bit of diffusion. Do you remember when the first time was that you had heard about Angenieux and Angenieux zoom lenses? The 35-140 in the 1960s, and then the 10:1. The 10:1 one that we all know, the 25-250 for 35 mm came out in 1962. What about anamorphic? Your did a lot of work in anamorphic? Yes. Actually, most of my work was anamorphic, starting way back after “The Hired Hand,” it was “Red Sky at Morning.” The first job with an anamorphic zoom was “McCabe and Mrs. Miller.” I’m guessing that it was an Angenieux lens, converted for anamorphic. From “McCabe and Mrs. Miller” on, it was all mostly anamorphic. Also on many commercials. Because they had money, and we had the zoom lens on the set all the time. Even if you didn’t use it, they had it. What made anamorphic so interesting to you? I fell in love with anamorphic right away. When you’re in a wide, wide screen, I think it’s a great thing for movies. Starting with Robert Altman, and then other directors like John Boorman, they all did anamorphic movies. Because the compositional value combines one shot. If you have a close-up, it could be a close-up in the front; and then behind that you see the location, close-up in the front, and wide angle in the back in the same shot. Most of the painters use a wide screen, a wide-angle, wide composition. And does the anamorphic lens give you a different look than shooting spherical wide-screen? It’s a difference in strategy. I shot many movies with anamorphic lenses. But many of my low-budget movies actually were shot spherical widescreen with the Technoscope 2-perf system. By using only 50 percent of film, it was very convenient in those days. It had an amazingly similar look to the look of the anamorphic. But it was projector’s anamorphic projection lens in the theater that helped give it that look. ork. It was quite an experience to see an actor be so good on the set, so talented, and such a nice person. It was very amazing for me to work with Robert De Niro on “The Deer Hunter.” We spent a lot of time together. Also as a person, on the set, as a human being he was so kind, so nice with everybody. He’s such a wonderful person. Talented. And Robert said, “Can you just take one of them away? I would like to see the mountain, myself, in the shot.” I suddenly realized that he could not actually basically FEEL where he was. And I had to take that wonderful 4×8 foamcore away. I said, “No, Robert, I don’t really need this.” And then we went back to shoot that scene, and immediately he could do the shot in the first take. And it was a great lesson for me to not to bother the actors with technical things. You should not put the light too close to the eyeline. Yes, cinematographers need to do their work, but not at the expense of the acting for the actor. Probably the most simple thing in movies that the actors FEEL the location that they are in. You are very well known for the praise that actors give you. Why is that, besides your charming personality? I like to let them be as good as possible. I like to keep them in a mood, on the set. I try to tell my crew members to not bother them. Don’t go with that measuring tape, so close to them. When you repeat takes, you don’t want to go and bother them. Let them be themselves because they need that concentration for each take. Are you’re looking forward to using the new Angenieux anamorphic zoom lens. Oh, yes! I’m glad you mentioned this. Because I saw that zoom lens in Budapest. I saw the prototype. And I looked at the lens, said oh, “My God, this the greatest zoom lens ever made. Because it starts from 56 and goes to 152 mm. I would love to have that lens in our rental company in Budapest. Angenieux announced they’re coming out with another anamorphic zoom in September, a 30-72 mm. Ohhhh! Well, that could be my new favorite. Because I like to use a lot of wide-angle lenses in anamorphic cinematography. Well, in my anamorphic movies, I love to shoot with at 30 mm. I love the perspective of it. Tell me about some of the other directors and actors you’ve worked with. Meryl Streep was really a gem. Everybody on the set of “Deer Hunter” was so talented and so loving. It was such a great experience for me how a good company can work together for the same thing and make a brilliant movie. Christopher Walken, John Casale, everybody was great in that movie. Spielberg. There was a great relationship with him, on “Close Encounters of the Third Kind” and “Sugarland Express.” Those were some of my best experiences. Spielberg was an upcoming person, and I had all only some experience, and the two of us together, would work so close together that it was clearly, like a hundred percent cooperation between the two of us. I felt so great to be with this talented young man who knew so many things. And Spielberg would listen to his cinematographer. On Close Encounters we didn’t really even have to talk, you know, about anything because we were justable to understand each other without talking to each other, we just did everything like people who had worked ten years together before that. Brian De Palma I love because he’s very, very visual–like Spielberg and Altman I did the first movie with him, I think it was “Obsession.” He was still working with sketches and storyboards. He knew exactly what he wanted. He always had a shot that went at least 360 degrees, a circling dolly, and so visually fantastic. For him, the visual part of the movie is what he likes. Not so much dialogue, but mostly telling the story with images. I love directors who can do that. We worked together very well for four movies. And it was a joy to be to create those images together. Which is your favorite movie in terms of visual storytelling? My favorite movie would be “Deer Hunter” because it actually has everything. It is good in every aspect: story, acting, design, photography. It’s actually my ultimate best experience in any movie. And it turned out to be a classic now. It’s hard to beat. For all the visuals, I would like to say that the best is probably “Close Encounters” especially because of the last 40 minutes of that movie, it’s very visual and carefully designed, actually. Brian De Palma movies–all of them, are based on visuals. Starting with “Obsession,” and to “Bonfire Of The Vanities,” you know. I think you told me on “Black Dahlia” you were using Angenieux zooms? Oh, absolutely. And I liked “Black Dahlia” also for visuals. It was the first time I tried to desaturate the colors of a colored movie to make it look like a black and white movie with some colors. And it was very interesting how good it worked, actually, by almost taking a black and white movie in color. It was great to work with Brian because he actually hires the cinematographer and wants the cinematographer collaborate on his movies. Of course, cinematographers love to work with directors who let the cinematographers do their job. He is very, very visual. He knows about lenses, he knows about angles, he likes interesting shots, and then at the same time, he usually tells the story where the visuals are the most important element of a movie. What about this move to digital cinematography? Composition’s important, but the most important element is the lighting. Lighting sets the mood, sets the visual feeling. And the mood has to be there to accept the story. It always depends on the lights, what you use, and unfortunately that’s the part of taking the most time in any moviemaking is the lighting. Now when digital photography came out the producers thought, “Yeah, that’s great! Digital is great! You don’t have to light the films anymore.” But that’s not true. It’s like somebody would say when they invented painting, would someone say, Well, we don’t paint anymore for the painting. So lighting is like the paint in the painting. If you don’t have lighting, you don’t have the movie. You have to create the light. And you can actually capture the right light. And the viewer should experience it. I try to find out that what’s going to be the best time of the day to shoot a scene, so sometimes I don’t have to even use any lights. And when that happens, you made it happen, and you have a very beautifully lit scene and didn’t use a single light. Tell me about this award you’re getting in Cannes. And how you feel about that. I feel great about it. I got a lot of nominations in movies. I had four nominations; and got one Academy Award. But the best award that I ever got was for Deer Hunter by the British Academy. And, unfortunately, I could not be there to pick up that award, and I always am sorry for that when I could not be there. I’m really looking forward to this award from Europe and Cannes, I feel really, really great about it. Finally I can get an award from where I came from, from Europe. I really feel that it’s going to be probably the best day in my life that I’m getting an award from there. But, I must say that I was surprised about getting this award. Isn’t it rare that they’re giving an award, rom Europe, you know, for someone who is half Hungarian, half American.